Located in Portland Oregon, Paddle Palace Club, the Pacific north west's premier table tennis experience in the United States, opened just over a year ago, was the recent host for a second ITTF/PTT Level One Coaches Course. A total of ten students from Mexico, Hawaii, Ohio and Oregon attended; Paddle Palace being a long standing table tennis equipment supplier; the company is the owner of the Paddle Palace Club, Judy Hoarfrost is the Chief Executive Officer of both companies. The theory lectures took place at the mezzanine level, looking down on the club’s courts; the practical part used half of the club’s courts. Significantly, the five day ITTF/PTT Level One course has become very popular in the United States. It was my first course this year. I have now conducted 44 ITTF courses in 22 countries and worked with table tennis in 48 countries. It was an interesting assembly of unusual playing styles. On one side of the racket, three participants played with long pimpled rubber, two with short pimples and two with anti-spin. Additionally one member was a pen-holder and two used the Seemiller style grip. Jay Crystal and Jennifer Beeler, who use smooth reversed rubber on both sides, were in the minority. Notably Jay is also working as a coach at the Paddle Palace club. He has a background as a teacher and counsellor which is perfect for a coach in any sport. He is also a past Oregon State champion, so he has a strong table tennis background. Another participant was Dr Alexandra Dimitrova, who is originally from Bulgaria and is a medical doctor with specialization in neuro science. 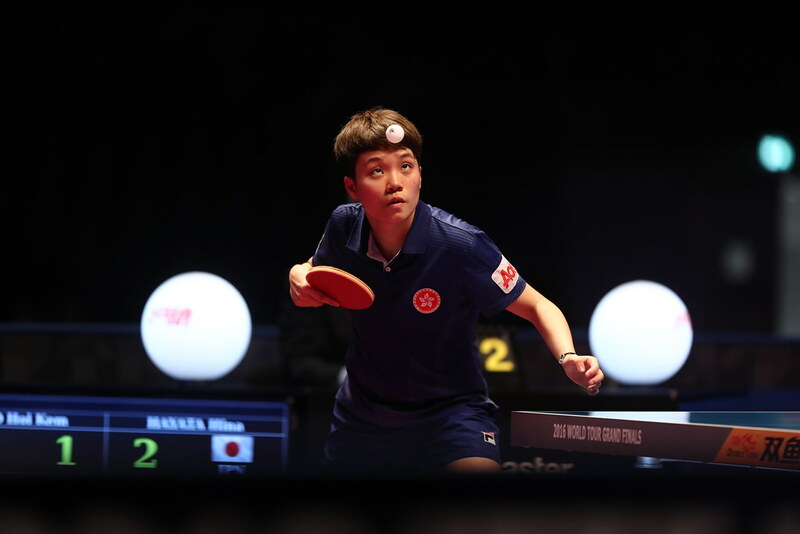 She recently returned from the United States Open where she was observing the classification process for Para table tennis, she is an aspiring classifier and a local Paddle Palace club member. Meanwhile, Jeff Schultz, a long standing members of the Paddle Palace Club has travelled the world in pursuit of learning new things about table tennis with his son. He took the course with low expectations but at the end was amazed about how many precise new details he had learned. A positive response, it was exactly the same from the three distant guests from Mexico, Ohio and Hawaii. Psychologist Dr Jeffrey Cumes travelled from Hawaii, Tarek Katbi from Ohio and Gerardo Palavicini from Tabasco, Mexico. Impressively, the Paddle Palace Club is ideal for ITTF courses. The club has excellent lighting, red table tennis flooring, 11 courts, open 12 hours every day and is located very central to a down town suburb of Portland. The club has about 140 members, Sean O’Neill, twice an Olympian and former United States National Para coach, alongside Jiwei Xie, former Beijing Provincial team member, are also coaching at the club. Brent Wojahn was the designated course photographer and a participant in the course. He has a distinguished career as a photographer and worked at the 1992 Barcelona Olympics among other prestigious events. Most certainly, it was a very strong group; the variety of coaching experiences from other sports helped them on the course. Importantly, Paddle Palace will organize an ITTF Level Two Coaches course in August, also conducted by by myself. In order to qualify for an ITTF Level Two course, a coach needs to be a certified ITTF/PTT Level One coach and must wait one year after the Level One course has concluded.